A cute little trio of Easter bunny silhouettes! 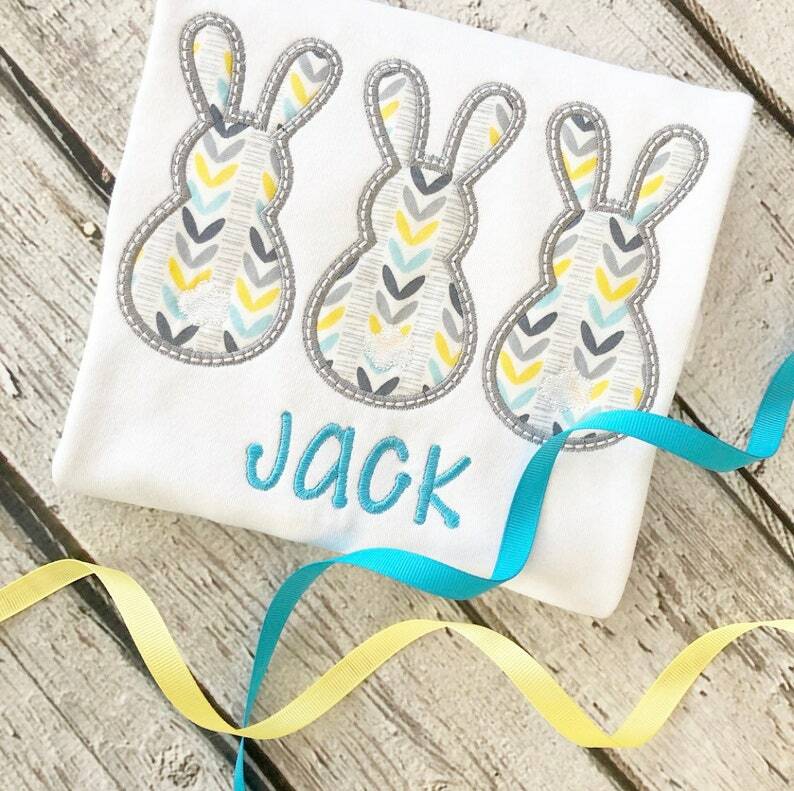 This adorable appliqued shirt is made completely personal with your little one's name embroidered below. Perfect for any Easter or Spring event! Please specify your sizing, sleeve length and child's name in Notes to Seller at checkout. This listing is for the shirt or infant bodysuit only. Other apparel and accessories not included. *Fabrics in bunnies will vary based on availability but will be in the color scheme shown.